A third prototype of the AstroPlant citizen science initiative made its debut at the Border Sessions festival in the Netherlands last week. 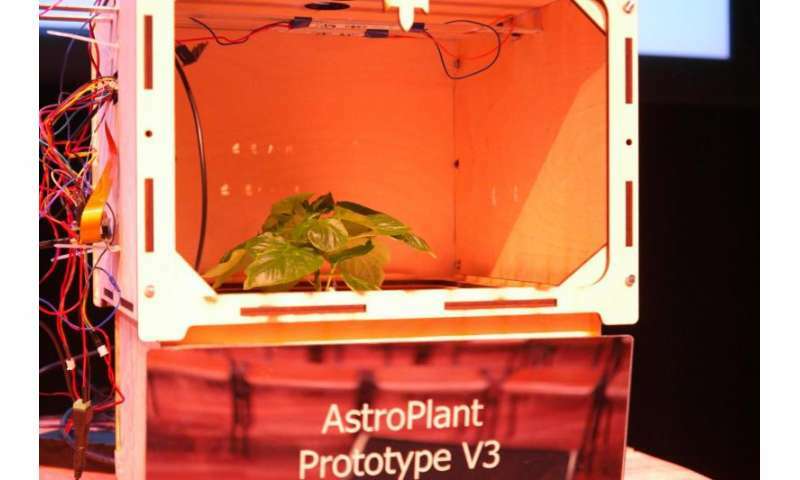 The desktop greenhouse allows people to help collect data on potential crops to grow in space. Just as agriculture revolutionised human settlements on Earth, it will also be a game changer in space. But first we need data. The Micro-Ecological Life Support System Alternative team, or MELiSSA for short, has been working for over 27 years to create ecosystems for astronauts. They are finetuning how microrganisms, chemicals, catalysts, algae and plants interact to process waste and deliver unending supplies of oxygen, water and food. To help speed the process, the team is recruiting citizen scientists with the AstroPlant initiative. The idea was conceived at the Border Sessions conference in 2016 to ask home-gardeners, schools, urban farmers and other enthusiasts to nourish seeds selected by the MELiSSA team. Last April, more than 40 participants across Europe brainstormed the prototype and other aspects of the initiative, including hardware design, user interface and business development. The third prototype presented to the Border Sessions audience last week is the result. AstroPlant is a plant lab fitted with sensors that track the entire growth cycle. Air and water temperature, humidity levels and leaf temperature, among other statistics, are uploaded via an app along with other user-collected data. The MELiSSA team then analyses the crop data for space farming potential. A crowd funding campaign is planned for September to fund a set number of kits for interested participants. The initiative hopes eventually to have AstroPlant kits set up in secondary schools as part of its educational goals. Border Sessions is an annual technology conference and year-round lab bringing together various partners to advance new ideas and experiments.